In our dental care facilities we are able to educate and help our patients plan for routine, smooth dental care. 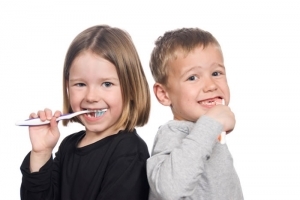 However, with the level of activity of the children and adults in Denton County, it is almost inevitable that accidents which result in broken teeth will occur. These rare and isolated accidents occur when participating in active endeavors, but there are things that you can do in your own home to prevent a dental emergency. Taking notes and speaking with your dental expert when you are experiencing sensitive teeth and toothaches can help diagnose serious diseases. It is these serious diseases that can lead to extreme pain which might drive you into the dental office when over-the-counter pain medicine or toothache remedies do not work. The infection of the underlining gums around your teeth is one of the major reasons that adults lose teeth. Apart from the fact it is virtually pain-free you may never know that you even suffer from gum disease. That is why it is absolutely important to attend regular meetings for an oral evaluation. This way your dentist can diagnose periodontal disease by noticing an abnormal space between the teeth and gums. Gingivitis is caused by bacteria, and the subsequent gum swelling is just the beginning to contracting gum disease. Periodontics is the study of the gum health. We insure gun health is the basis of our approach to preventive care. Gingivitis can also be what causes bad breath. There are many treatments for reversing gum disease and is not such a serious matter if caught early enough. In these cases non-surgical treatments are available and can be as simple as a routine scaling and deep cleaning. Once it reaches more critical levels, periodontal surgery and laser gum surgery are often suggested. If teeth are lost in the process then teeth replacement can be necessary, which means teeth implants or dentures. We didn’t mean to scare you with all this talk of periodontal and gum disease, but it is the reality of not taking a preventive approach to your dental care. It is very simple to avoid these diseases and complex procedures, all you have to do is take a routine approach to your oral hygiene habits. Visit us two times a year for an oral evaluation and teeth cleaning, even if you think your teeth are in great shape they might have a underlying issues that you cannot detect. In addition, brush and floss as often as possible, ideally after every eating session and definitely before going to bed at night. To speak with us about our approach or about any questions you may have for our top dentist in Lewisville, please visit our About Us page and fill out the contact form so we can reach out to you to confirm an appointment time. At the complementary consultation we will be happy to speak about our process and how we can help you save time and money.